So the Summer has already started & everyone wants to update their closet for the season with short skirts & comfy dresses. 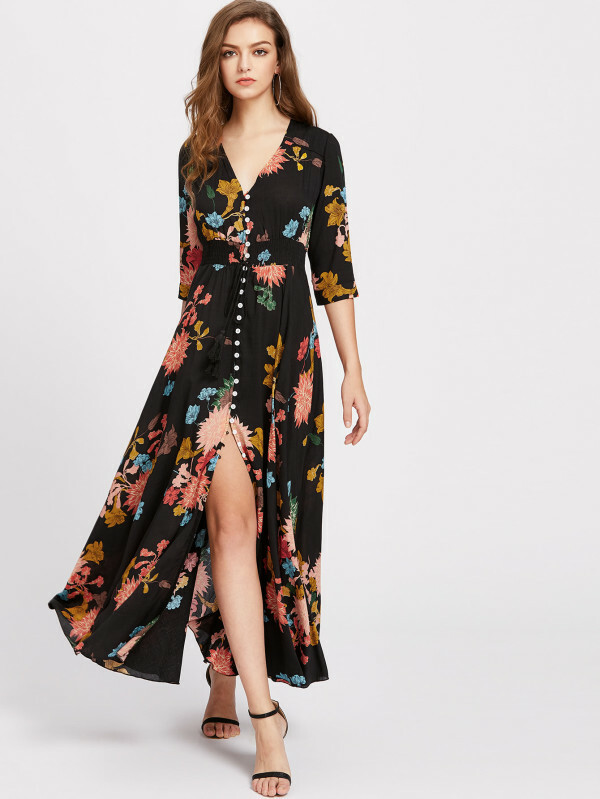 Here is my wishlist for the summer from the website SHEIN. Do check out & click the links to get the prices & sizes available. If we say summer then the first thing which comes to mind is Pool parties. This swimsuit is perfect for those pool parties. The print on it is just so perfect. This Pinafore dress is so cute & the pink color is so subtle & pastel. This could be pair up with the t-shirt & sneakers & you are ready for that shopping visit of summers. 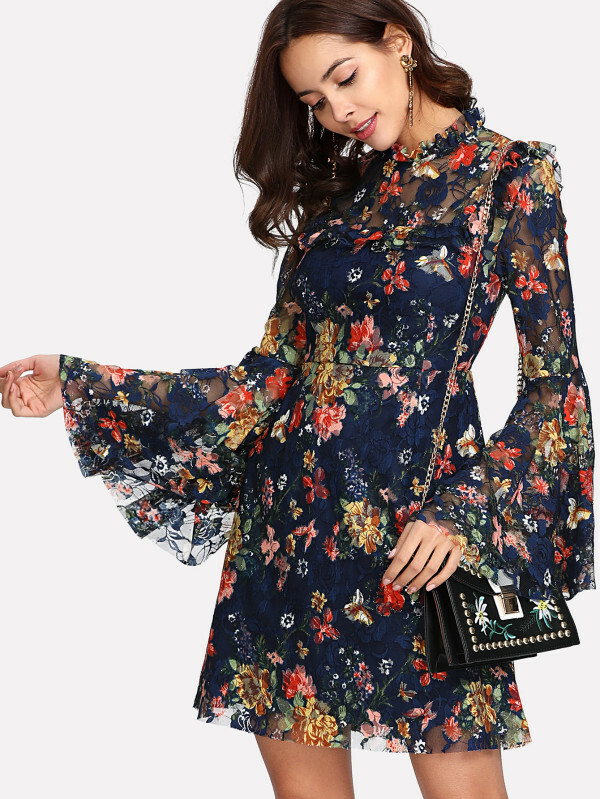 This dress is floral, its pretty blue with bell sleeves & frills on the neck. Its perfect for a lunch date. 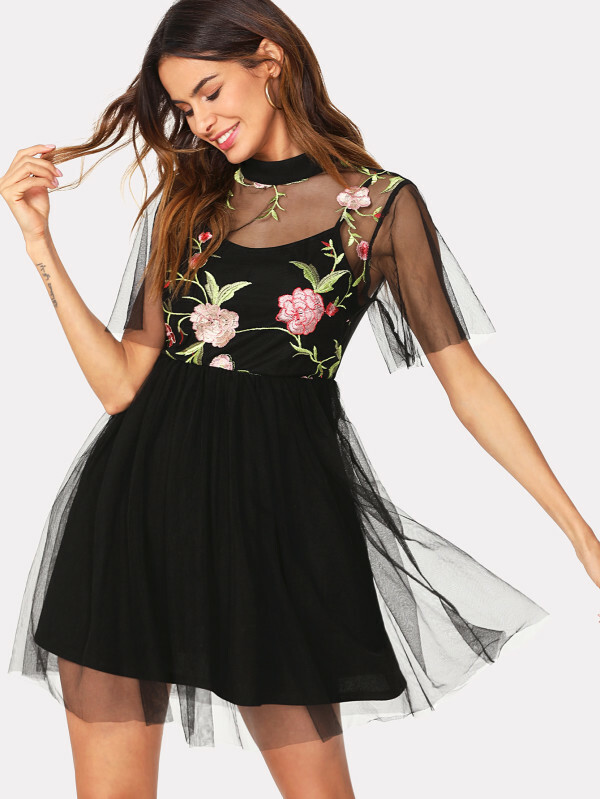 This dress is so cute & the embroidery on the top is so gorgeous. It has so much drama with the sleeve & I love it. This maxi dress is so perfect for summers & the front slit is just so gorgeous. The botanical print is so eye-catching. This ruffled bodysuit is love at first sight. It can be easily paired with any bottoms like a skirt, jeans, shorts even palazzos. There is so much drama in this bodysuit. 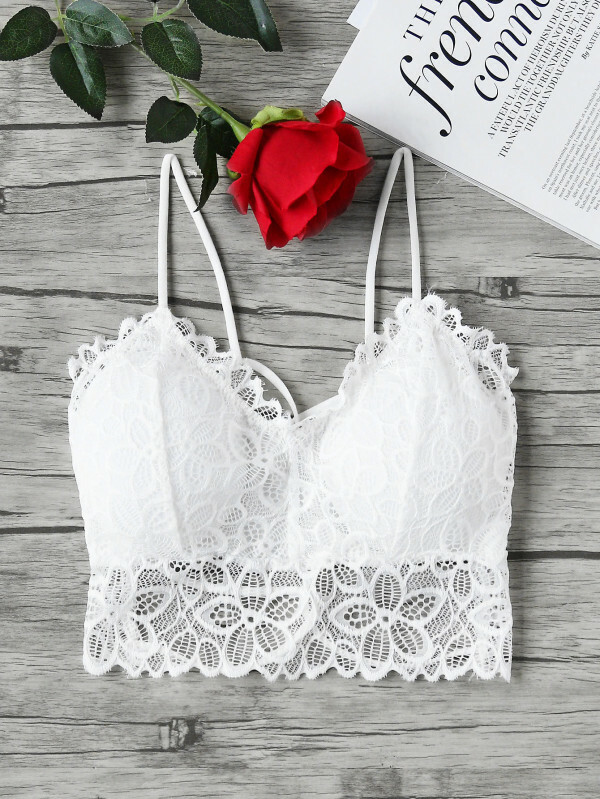 It is a beautiful lace bralet which can pair with high waist jeans, skirt or with shorts in summer. The back of this bralet is so beautiful. 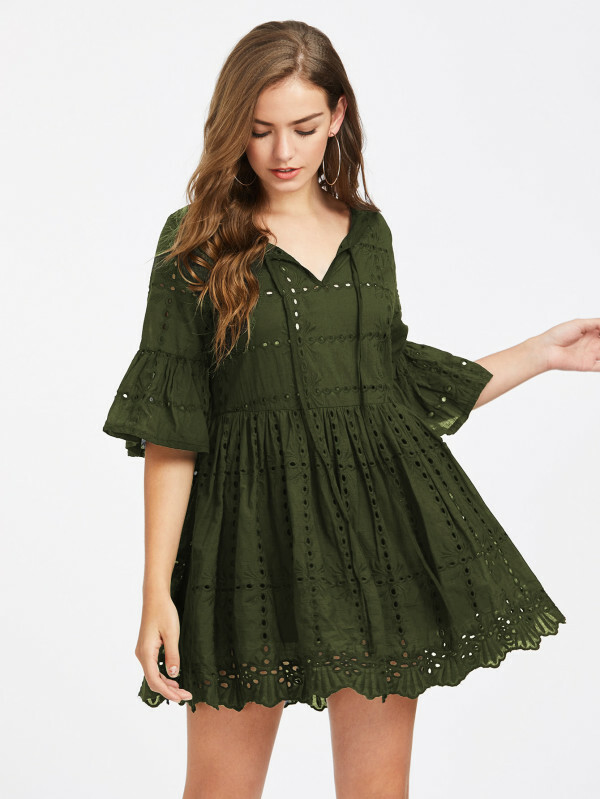 This is a beautiful Army green color laser cut out dress. Its perfect for those lazy beach brunch. 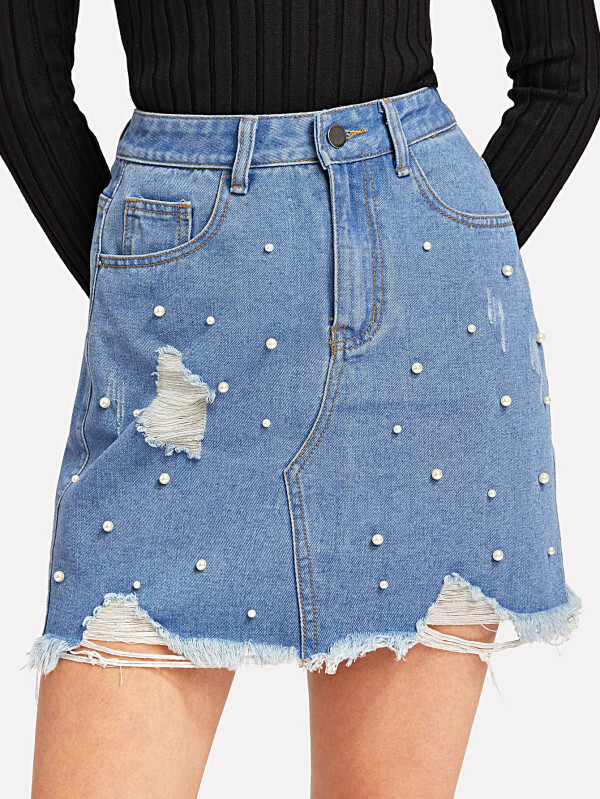 It's a beautiful ripped Denim skirt which has pearls on it & this can easily pair with any shirt or t-shirt. It is perfect for the summers. Do check out this all & let me know how you like this wishlist in the comment section below. The black mesh dress looks super pretty. 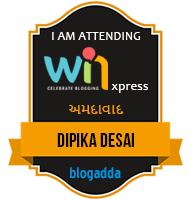 Thanks for a great blog. I was able to get the information that I had been looking for. Thanks once again!